Lawmakers will meet with students, educators and advocates on both side of the guns debate starting Tuesday to discuss potential legislative changes in light of the Santa Fe High School shooting. In response to the Santa Fe school shooting that killed eight students and two teachers, Texas Gov. Greg Abbott said Monday that he'll host a series of discussions at the Capitol this week on issues like arming teachers, school safety measures, mental health and bullying. From Tuesday through Thursday, Abbott, a Republican, will meet at the Capitol with shooting survivors, students, parents, teachers and advocates on both sides of the gun debate. Tuesday’s discussion will seek input from school administrators and law enforcement leaders on ways to improve school security. Starting at 1:30 p.m., Abbott and fellow state leaders Lt. Gov. Dan Patrick and House Speaker Joe Straus, both Republicans, will be joined by state lawmakers at the head of relevant committees: state Sen. John Whitmire, a Houston Democrat who leads the Senate's Criminal Justice Committee; state Sen. Joan Huffman, a Houston Republican who chairs the chamber's State Affairs Committee; state Rep. Phil King, R-Weatherford, leader of the House Homeland Security and Public Safety Committee; and state Rep. Harold Dutton, D-Houston, chairman of the the House Juvenile Justice and Family Issues Committee. The lawmakers will hear from prominent statewide leaders — Texas Department of Public Safety Director Steve McCraw and Texas Education Agency Commissioner Mike Morath — as well as local school officials and law enforcement agencies working with districts to create safety programs. Other experts on school design and active shooter response plans were asked to attend. More details on Wednesday and Thursday’s discussions will be released later, Abbott’s release said. Advocates for and against stricter gun regulations said they were asked to attend Wednesday. Victims of the Santa Fe massacre and other recent Texas shootings in Sutherland Springs, Alpine and Italy have also been invited to the talks, according to the release. On Friday morning, during first period, 17-year-old Dimitrios Pagourtzis came into his high school and shot at students and staff with a shotgun and a .38-caliber revolver, both of which were owned legally by his father, according to authorities. Abbott and other Texas politicians traveled to the town southeast of Houston to offer their condolences and call for action. On Friday, Abbott mentioned relatively uncontroversial measures: speeding up background checks, policies to keep guns away from those who “pose an immediate danger,” and more resources for school safety personnel and to address mental health issues tied to gun violence. 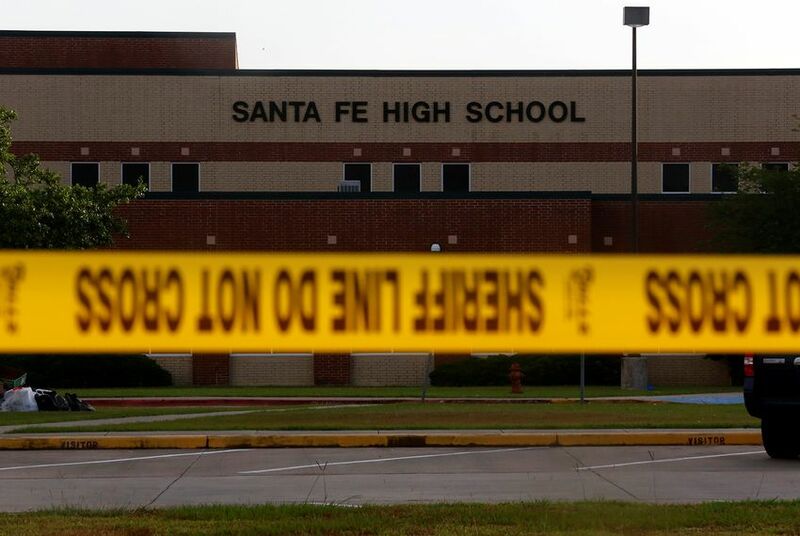 He also proposed expanding a Lubbock program aimed at preventing at-risk students from committing violent acts that began in response to mass shootings in Aurora, Colorado, and Newtown, Connecticut. Santa Fe High School had a shooting plan, armed officers and practice. Ten people still died.